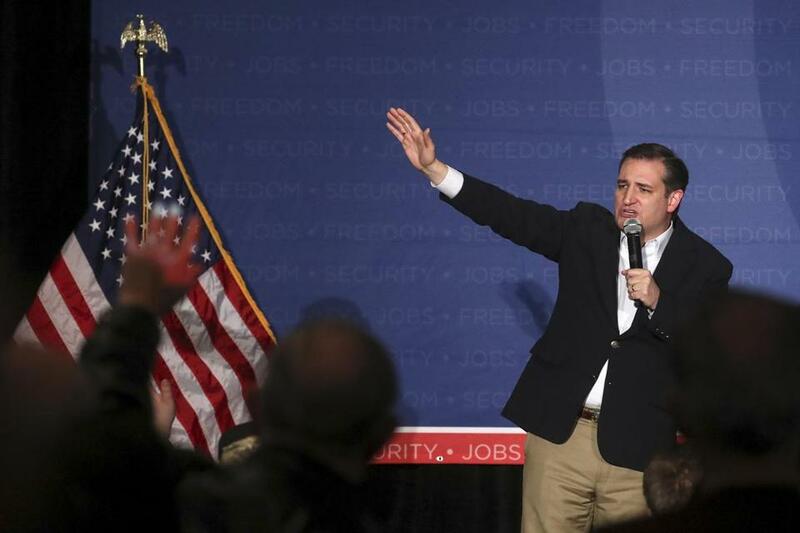 U.S. Republican presidential candidate Ted Cruz spoke at a campaign event in Erie, Pennsylvania. Republican presidential candidate Ted Cruz is close to ensuring that Donald Trump cannot win the GOP nomination on a second ballot at the party’s July convention in Cleveland, scooping up scores of delegates who have pledged to vote for him instead of the front-runner if given the chance. The push by Cruz means that it is more essential than ever for Trump to clinch the nomination by winning a majority of delegates to avoid a contested and drawn-out convention fight, which Trump seems almost certain to lose. The GOP race now rests on two cliffhangers: Can Trump lock up the nomination before Cleveland? And if not, can Cruz cobble together enough delegates to win a second convention vote if Trump fails in the first? Trump’s path to amassing the 1,237 delegates he needs to win outright has only gotten narrower after losing to Cruz in Wisconsin and other recent contests, and would require him to perform better in the remaining states than he has to this point. In addition, based on the delegate selections made by states and territories, Cruz is poised to pick up at least 130 more votes on a second ballot, according to a Washington Post analysis. That tally surpasses 170 delegates under less conservative assumptions — a number that could make it impossible for Trump to emerge victorious. That is why the race centers on the fevered hunt for delegates across the country. The intensity of the fight has sparked another round of caustic rhetoric — including allegations from party leaders that Trump supporters are making death threats. Cruz’s chances rest on exploiting a wrinkle in the GOP rule book: that delegates assigned to vote for Trump at the convention do not actually have to be Trump supporters. Cruz is particularly focused on getting loyalists elected to delegate positions even in states that the senator from Texas lost. On Wednesday in Indiana, for example, Republican leaders are finalizing a delegate slate that will include party activists unlikely to vote for Trump in the state’s May primary. Cruz also is poised to sweep Wyoming’s 26 delegates this weekend in a state where Trump’s campaign did not seriously compete. In Arkansas, Cruz supporters are exploring ways to topple Trump when delegates are chosen next month. And Senator Marco Rubio, a Florida Republican, has refused to release 171 delegates he won when he was in the race, signaling that he might contribute to the anti-Trump push in Cleveland. “In Cleveland, I believe we will have an enormous advantage,” he told radio talk-show host Glenn Beck. 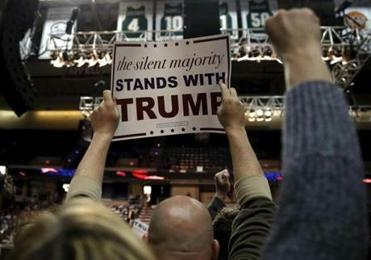 Trump has a commanding lead in total delegates and the overall vote total but has complained that Republican leaders are conspiring against him in a bid to silence his supporters. “The RNC should be ashamed of itself for allowing this to happen,” Trump said Tuesday night while campaigning in Rome, N.Y.
Paul Manafort, a senior adviser to Trump, said in an interview that he is confident Cruz will never have a chance to convert Trump delegates. As the battle for delegates has intensified, so, too, have emotions. Craig Dunn, who was elected Saturday as a Republican delegate from Indiana’s Fourth Congressional District, said he has received several threatening phone calls and e-mails after criticizing Trump in recent news reports. “When they reference burials and your family in the same e-mail, and telling you that you’re being watched, that’s concerning,” he said. In Colorado, Republicans are planning a rally Friday to call attention to threats made against GOP chairman Steve House. He said his office received 3,000 phone calls “with many being the trashiest you can imagine” after a state party convention last weekend awarded Cruz all 34 delegates. “Shame on the people who think somehow that it is right to threaten me and my family over not liking the outcome of an election,” he wrote on Facebook. Stone recently told an interviewer that Trump supporters would track down delegates at their hotel rooms in Cleveland if they break away from Trump. Manafort said “it’s certainly not part of our policy” to threaten violence but accused “abusive” Cruz supporters of confronting Trump’s backers at party meetings nationwide. When the presidential nomination vote is held at the convention, 95 percent of the delegates will be bound to the results in their states for the first vote, giving Trump his best shot at securing a majority. But if Trump falls short, the convention will cast a second ballot in which more than 1,800 delegates from 31 states — nearly 60 percent of the total — will be unbound and allowed to vote however they want. By the third round, 80 percent of the delegates would be free, sparking a potential free-for-all that could continue for several more rounds. That is the crux of the state-by-state battle that is playing out over the next two months as Republicans gather at the precinct, county, congressional district, and statewide level to choose convention delegates.